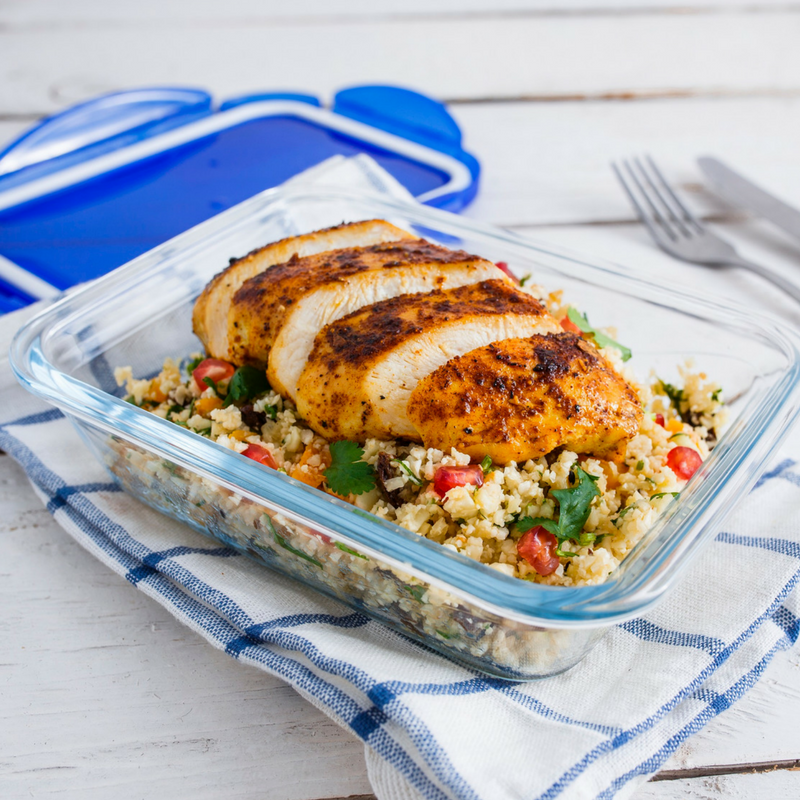 Cauliflower Couscous With Moroccan Chicken anyone? 1. Marinate chicken with salt, olive oil and ras el hanout for at least 30 mins. 2. Pan fry the chicken on a moderate heat for 5 mins each side. Drizzle over the honey and spoon over the juices until cooked through. 3. Pulse the cauliflower in a food processor to make couscous sized grains. 4. In a large pan or wok heat the oil then toast the garlic, ginger and cumin. 5. Add the cauliflower couscous, stir fry at a high heat for one minute. 6. Remove from the heat, add raisins, apricots and lemon juice. 7. When cooled top with chopped coriander leafs and pomegranate seeds. Tip: Leave the chicken out to create a perfect vegetarian option. 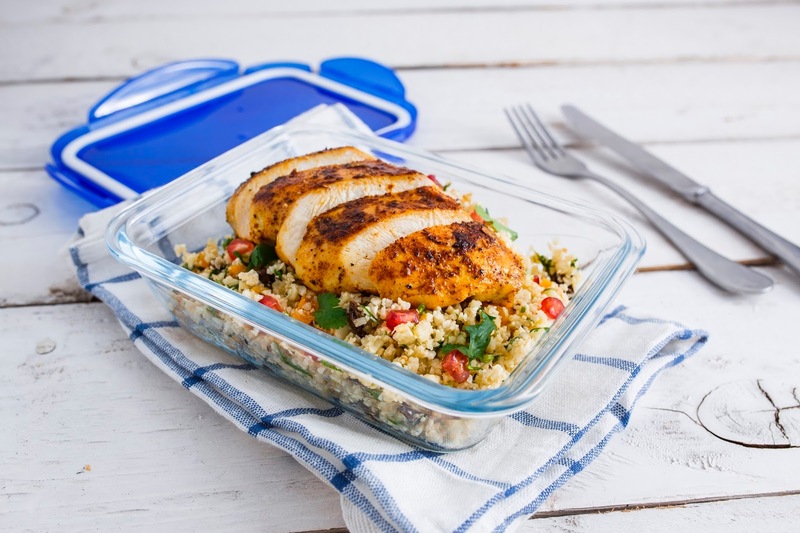 What do you think of this How To Make Cauliflower Couscous With Moroccan Chicken: recipe? Fancy making some Cauliflower and pistachio couscous with halloumi and vegetable kebabs? For a fresh zingy summer lunch or supper foil bake salmon with herbs and serve it with toasted pine nuts and couscous in a delicious orange dressing. Salmon and Herby Couscous with Orange Dressing. "Spinach, Avocado, Coconut Oil And Raspberry Smoothie"